Ingleston Showground hosted the annual VisitScotland Expo – for tour operators, hotels, attractions and all things to do with tourism. As Liz had pre registered we thought there would be no bother on arrival, wrong, its VS we are talking about here! After a ten minute delay we were in. As usual we wandered about up and down isles in our own order, stopping as needed. I have to say we did stop in approx 5 whisky distillery stands (research you understand), followed by a few hotels and attractions. Without pre planning we ended the day at the Aberdeenshire stand, why? They had drinks and food, amazing Porters gin! The folk running the stand were great and we met a few fellow visitors – who may well make excellent contacts for us, from USA and India. Taxi back to the city, where we checked into our Edinburgh apartment on the Royal Mile, great location, but we were a wee bit tired, so a rest before heading out into the blue yonder, met a pal of mine Spike, who is a street performer, had a chat and returned for Liz with a bottle of whisky in tow. We had tried this at expo and liked it. 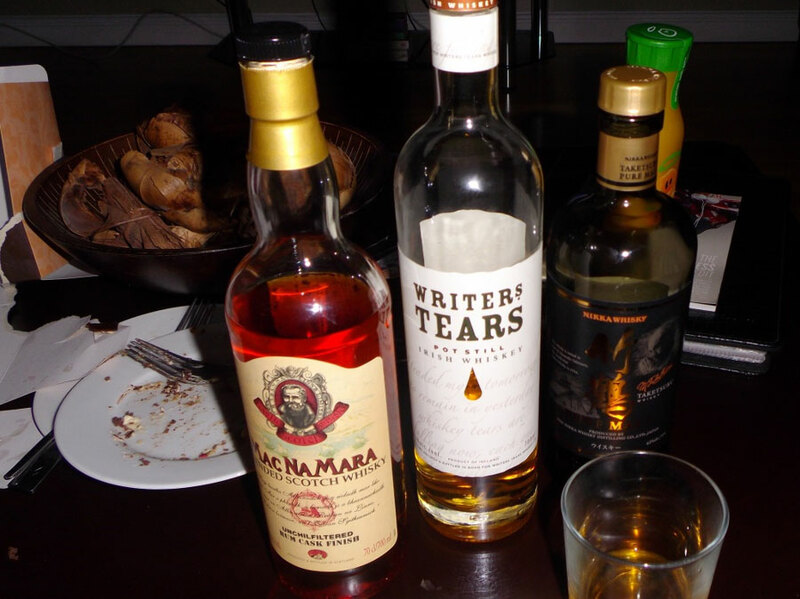 As we do, we then had an impromptu whisky tasting; Macnamara rum finish, Japanese and Irish drams, good stuff we both agreed. It is always good for us to revisit various hotels, coach companies, attractions etc, it was well worth it, all research for our guests’ benefit! 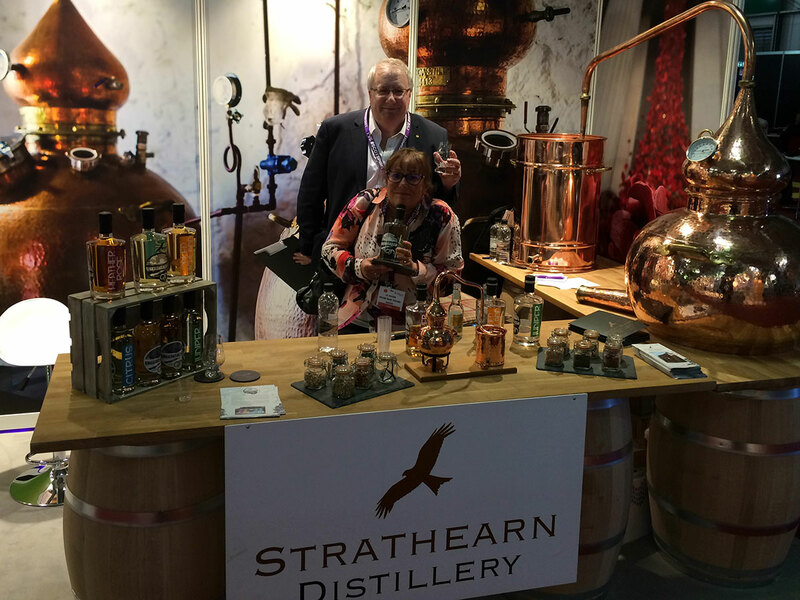 Main image above: Liz and Paul on the Strathearn distillery stand at expo.